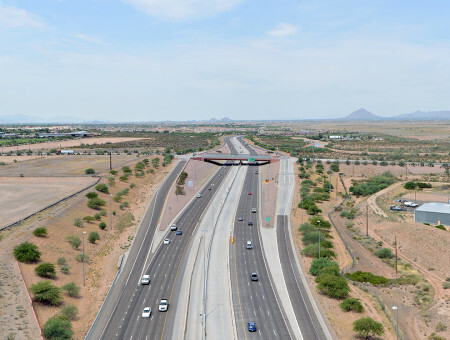 Loop 303 Outfall Drainage System Design | AZTEC Engineering Group, Inc. Loop 303 Outfall Drainage System Design | AZTEC Engineering Group, Inc. 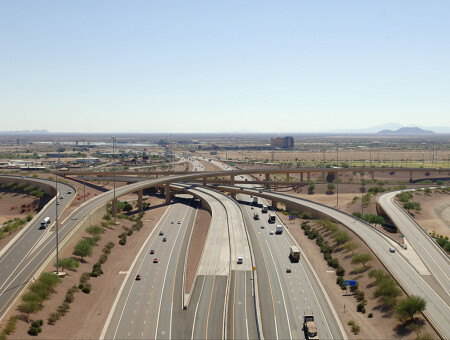 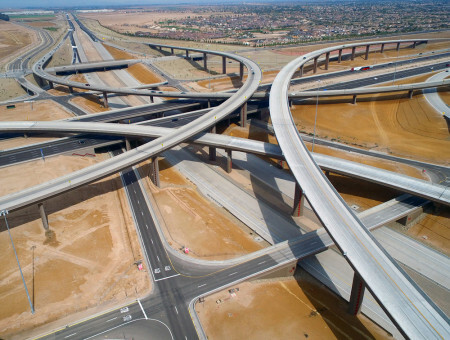 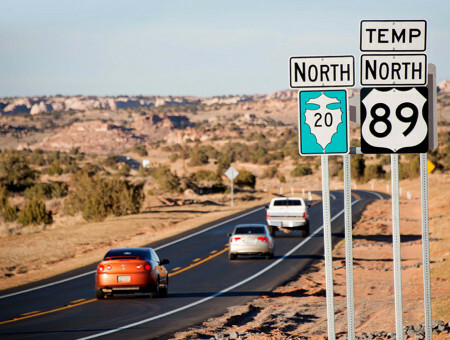 The Loop 303 Outfall Drainage System Design is a 7-mile-long project, where AZTEC was responsible for final design of Segment A, the northernmost segment. 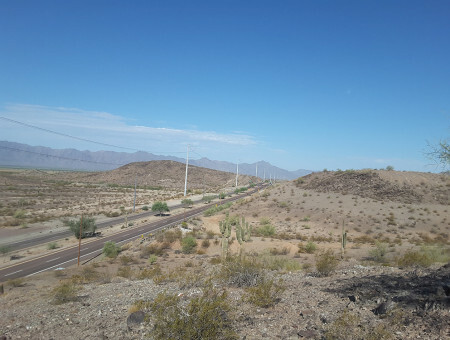 Spanning 1.2 miles, this segment connects to both the ADOT I-10/SR303L Outfall Channel and the White Tanks Flood Retaining Structure (FRS) #4 outfall pipe. 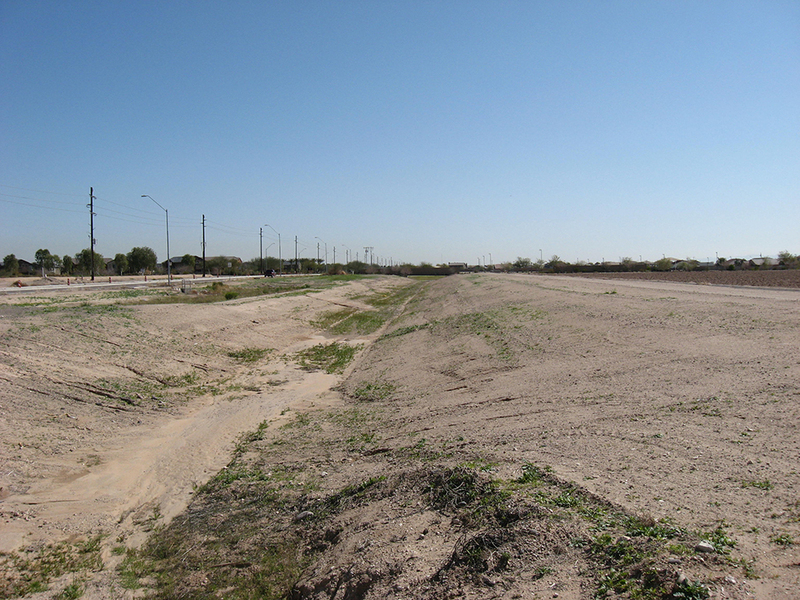 The project provides an outfall at both locations. 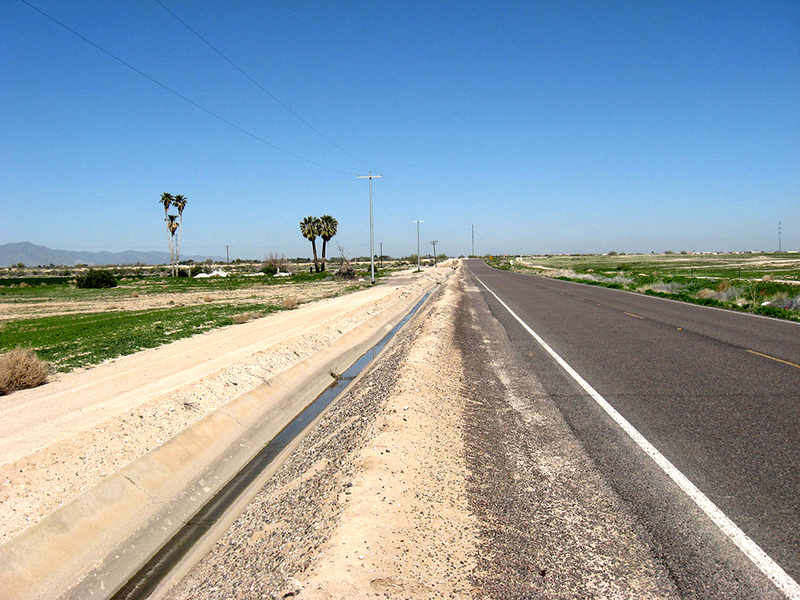 The new concrete-lined channel extends from Van Buren Road south to the Gila River. 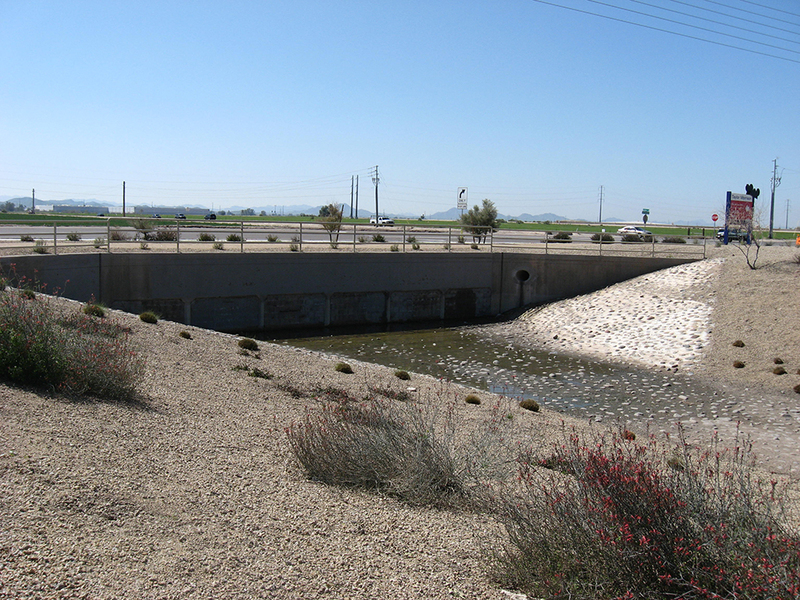 Our scope included improvements to a box culvert under Van Buren Road and a transition connection to the ADOT outfall channel. 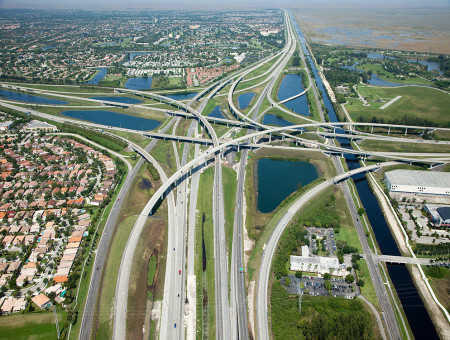 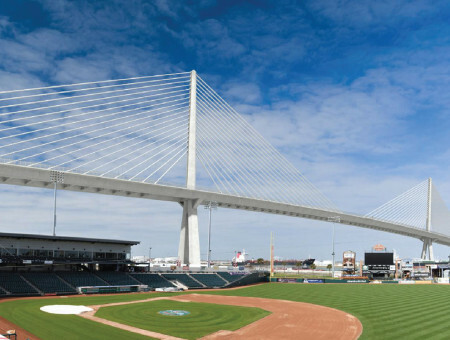 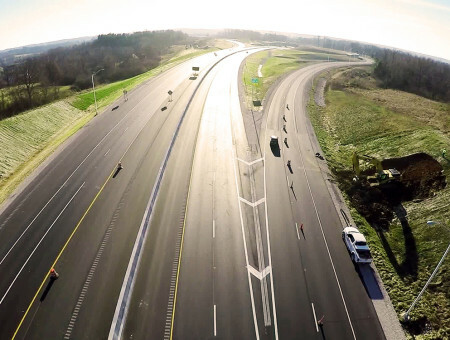 Other design elements included culverts, channel and landscape grading with water harvesting features, hydraulic modeling, earthwork modeling, maintenance access and site fencing. 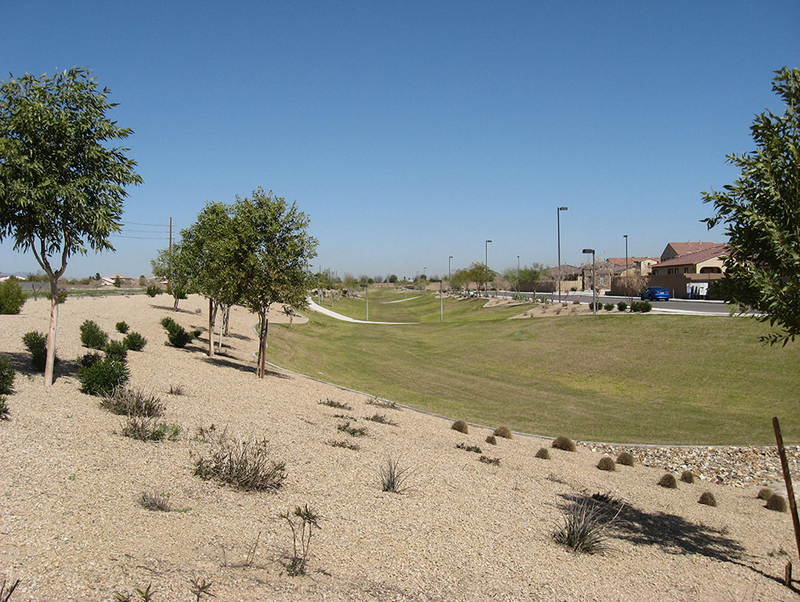 We also provided utility coordination and subsurface utility designating and locating services for the entire corridor.